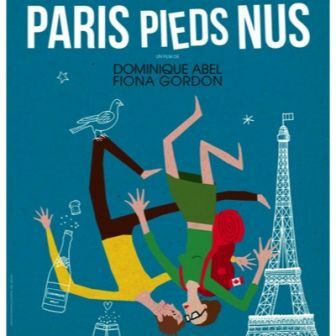 French comedy starring the filmmakers as a small-town Canadian librarian and a strangely seductive, oddly egotistical vagabond whose paths cross in the City of Lights. 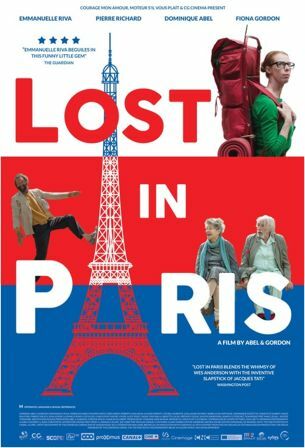 When Fiona's (Fiona Gordon) orderly life is disrupted by a letter of distress from her 88-year-old Aunt Martha (Academy Award-nominee Emmanuelle Riva, Amour) who is living in Paris, Fiona hops on the first plane she can and arrives only to discover that Martha has disappeared. In an avalanche of spectacular disasters, she encounters Dom (Dominique Abel), the affable, but annoying tramp who just won't leave her alone. Synopsis: Fiona, bibliothécaire canadienne, débarque à Paris pour venir en aide à sa vieille tante en détresse. Mais Fiona se perd et tante Martha a disparu. C’est le début d’une course-poursuite dans Paris à laquelle s’invite Dom, SDF égoïste, aussi séducteur que collant. Film parfait pour s'extraire de l'ambiance morose actuelle. Ici, poésie, danse, humour, burlesque, tendresse,... alternent au rythme d'un conte moderne.